BRUSH OF THE GODS in Chinese! 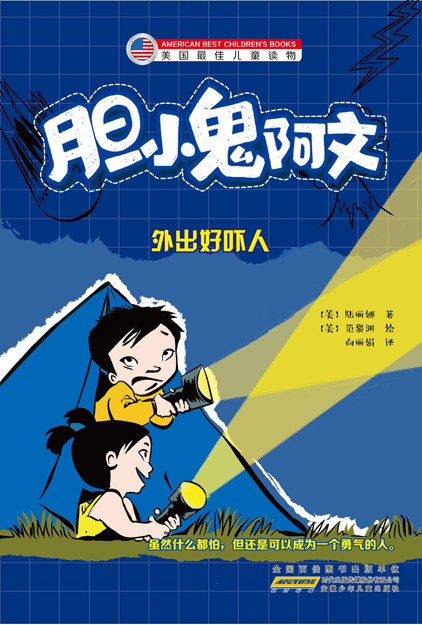 I’m SO excited to see my book in its Chinese language version! And in traditional characters to boot! Hooray! 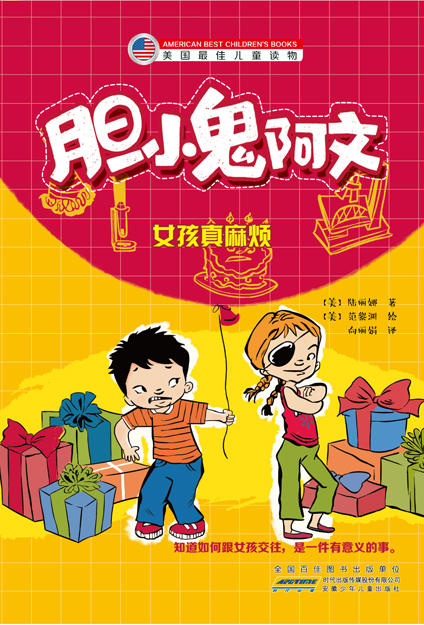 The publisher, Global Kids Books, is based in Taiwan, where traditional, or “complex” characters are used. Simplified characters (fewer strokes and sometimes bearing no resemblance to the traditional characters) are used in Mainland China and Singapore. When I learned my Chinese at Princeton, my professors used traditional characters exclusively. My current Chinese school in NYC’s Chinatown uses simplified. I favor traditional characters and still use it for all my assignments. It’s the only way I’ll be able to read the Chinese classics some day. Anyway, here’s a look at some of the beautiful inside pages! 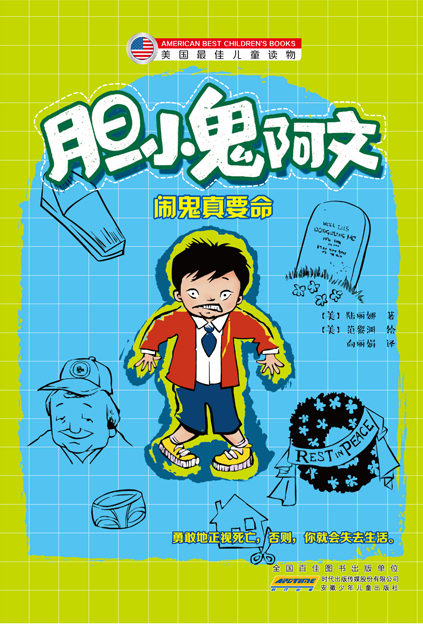 If you’re learning Chinese, and would like to order a copy, go to the Global Kids Books website at www.gkids.com.tw, or email them at gkids@cwgv.com.tw. I had the most amazing day yesterday. I went to the New York Historical Society with a bunch of Princetonians to see the special exhibit on the history of Chinese Americans. It is the first major exhibit of Chinese American history at a mainstream museum, according to Princeton Professor Beth Lew-Williams, who had brought students from her Asian American history class for a look. Alumni, organized by the amazing Mo Chen ’80, joined them. I write about Chinese American families, so I knew I would find inspiration and details here for my work. The exhibit opens with artifacts from the first American ship, Empress of China, that sailed to Canton in search of a new trading partner, in 1784, when our country was brand-new: Did you know that George Washington ordered his china from China? Did you know that the U.S. passed a LOT of anti-Chinese laws? Here are the walls enumerating them: The centerpiece of the exhibit is a re-creation of the barracks at Angel Island, the immigration station where Chinese immigrants were detained and interrogated before entry into the U.S. or deportation, from 1910-1940: Detainees left many sad poems on the walls at Angel Island, here is one: I’ve been to Angel Island. While this exhibit conveys some of the scariness of the interrogation room, and the hardships endured, it conveys none of the discomfort of the surroundings. The exhibit feels cozy and womb-like, while the actual building was barren, filthy, drafty and very likely unheated. Actually, the re-created rooms are quite beautiful, like cabins at an expensive sleep-away camp, not the ugly holding pen that it was. The exhibits ends with portraits of prominent Chinese American New Yorkers, among them, my friend-that-I’ve-never-met-except-in-cyberspace, the Wall Street Journal dude, Jeff Yang: Hey Jeff! Congrats to your son for being the star of the new TV series, Fresh Off the Boat!!!! What a hard-working and adorable kid!!! Woohoo!!!! After that, we all got into this mega stretch limo: Whoa baby! When you’re an author, you don’t get a ride like this very often. The lap of luxury: Off we went to our Chinese banquet in Chinatown. Sadly, I don’t have any photos of our feast because I was too busy eating. One thing I learned at Princeton: When you eat with Tigers, SNARF as fast as you can, or starve. I kid you not. The other thing I learned at Princeton: After you eat, take something for the road. So after our banquet, we headed straight over to Fai Da, my favorite bakery: Marissa, Nick and George were just getting started. You should have seen all the goodies they got! Tigers need a lot of tiger food for the long, hungry ride back to campus. Then over to the Chinatown Ice Cream Factory for one more treat: By then it was snowing hard, making our afternoon together look like a magical world inside a snow globe. Thank you, Mo, for organizing the trip, and thank you,Tigers, for being utterly inspiring! You guys ROCK!!! When you’re an author, you have to give many speeches. If I had known that I would have done better at math. But that’s another story. Anyway, it’s still kind of scary to get up and speak in front of an audience although I’ve done it a sqillion times. So I always look forward to the fall and winter months in which I hide away and write, with no speaking engagements until the spring. But this year, because a really wonderful teacher and her classes have been writing to me for at least two years, maybe three, I accepted an invitation to visit the FACTS Charter School in Philadelphia in October, and to be their keynote speaker at a special dinner afterwards. And I was so glad I did! Wow. And that is exactly what I found when I entered these doors: The students at FACTS learn about the arts, languages and histories of many cultures. The students, teachers and staff are multi-lingual and from many different countries. Here I am meeting the fantastic Teacher Annie Huynh for the first time: Alvin Ho has been required reading in her class and she has had her fourth graders correspond with me for the past few years. She is SOOO inspiring and gifted. See that beautiful pin on her dress? She made it! Thank you Teacher Annie and fourth graders for loving Alvin and for inviting me to visit you! You’re guys are super-duper!!! Every adult at FACTS is called Teacher, even me! I was called Teacher Lenore :). The principal, Pheng Lim, explained that that’s because they believe that every grown-up has something to teach. Wow. That really made me think. What was I teaching? And you know, I learn a lot from kids. They’re teachers too. And they have the qualities of the very finest teachers: wise and inspiring, accepting and non-judgmental, open and inquisitive. As an author for children, children are my best teachers. I LOVED this class in African dance: Two artists-in-residence teach the movements and rhythms of various tribal dances. There were drums and tambourine and many smiles all around. Teacher Annie’s fourth grade class presented me with my very own PDK: It’s an AUTHOR DAY SURVIVAL KIT! I wish that I could post the photos of them presenting it to me, but I’m not allowed to post photos showing students’ faces, so these will have to do. Here’s a look at the stuff inside: It included this super-duper FACTS t-shirt too! Wow! This is the BEST PDK ever!!! It was so thoughtfully put together. THANK YOU!!! I received other gifts too. Jocelyn made me the cutest charm/ponytail holder: Thank you, Joss! I am still wearing it today! And the ultimate, biker-chick-cool gift these days … Shakia gave me — gasp! — a TATTOO of my name on her arm! Is that the BADDEST, or what?!!! 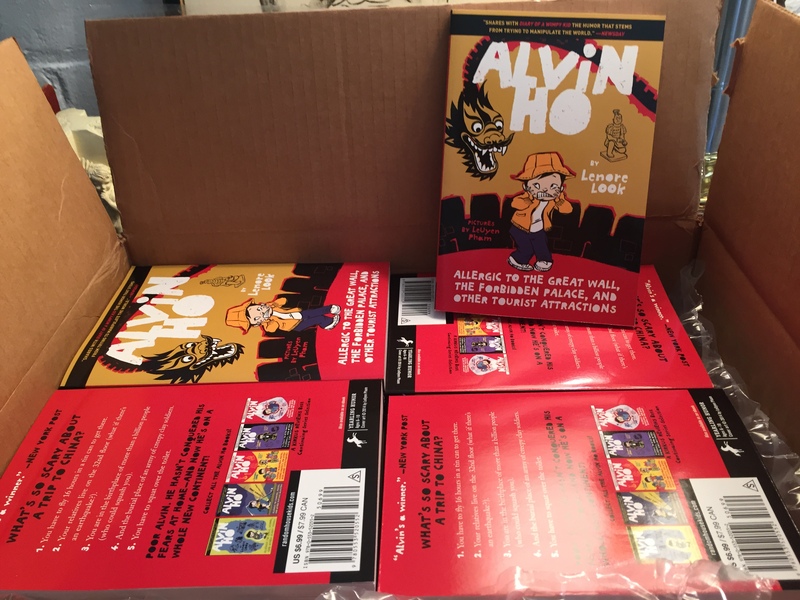 If you ever have a multiple choice quiz on Alvin Ho, you could be in for some trouble. That evening, I was treated to a wonderful dinner celebrating FACTS School’s 10th anniversary. There was a traditional Chinese lion dance: And African dance too. See the FACTS slideshow here for more photos. And a very delicious menu: I didn’t take any more photos than these because I had to give the keynote speech (my first ever!) and was too nervous to notice that the whole evening had gone by before I picked up my phone/camera again. But I’ll say this. I met Hao-Li Tai Loh, the woman whose vision started this school. And I met her mother too, who told me that Hao-Li and I were born in the same year of the Tiger! Wow. I felt humbled and honored to have been invited into her amazing life’s work. And I met many other people who share her vision and work very hard every day to give the children at FACTS the education and respect that that they deserve. Greetings and good wishes came in from all over the world via Skype. It was a very inspiring, enchanted evening. One of the best I’ve ever had. A HUGE THANK YOU to everyone at FACTS, students, parents, Teacher Annie, Principal Lim, Rebecca, Hao-Li, alumni and donors, for inviting me to be a part of such a special occasion. I will remember it forever.